A loan of $5,000 helped me purchase equipment for a new product we are working on and the design work for the new packaging. The loan will also help me to purchase green coffee needed for this new product, and my wholesale and retail partners. I grew up in Newberg, OR, a small, rural town. I was raised with an understanding that hard work and caring for those around us will benefit the larger community. Though I never expected to start a business, my upbringing continues to push Intent Coffee Roasting forward. Living in Portland, I am constantly inspired to create meaningful connections and projects that reflect my community and the world around us. Coffee is a big industry in Portland, and that pushes me to do my best and continue to grow. 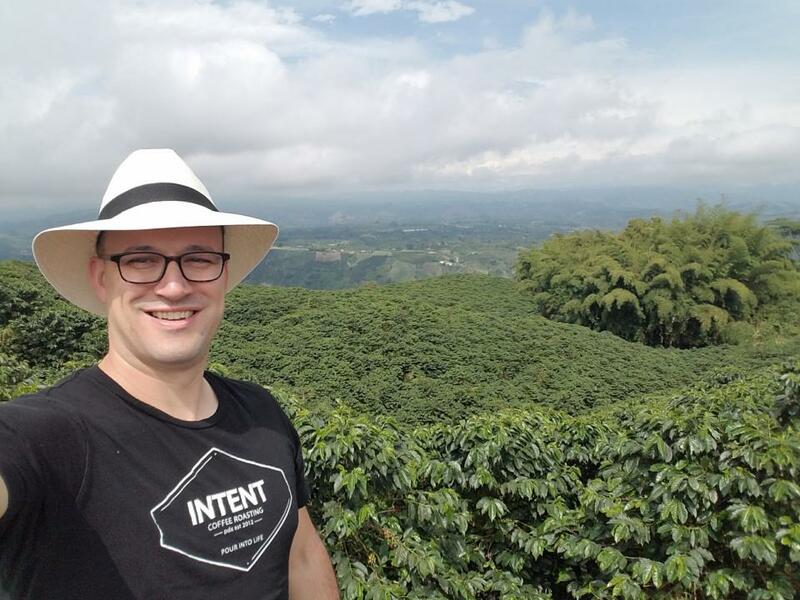 Of course, I couldn't have a business that wasn't giving back, and that is why Intent invests 30% of all our profits to develop clean water solutions in coffee-growing regions! Intent Coffee started in 2012 as the need for a new career was in front of me, and the opportunity to build the company in measured strides. As a 5 year old company, we have been able to build a solid customer base and add wholesale customers that are able to see our vision of investing in coffee-growing regions as adding value to their coffee program. We have been able to invest in multiple clean water projects in Nicarauga, Mexico, and Haiti, and continue to work with a non-profit to build opportunities in coffee-growing regions for clean water. We are very excited to add this new product with your help! We are working on launching a new single-serve coffee that I believe will change how coffee is consumed while travelling, camping, or on a one cup basis. Currently, the cost of a new machine that will expedite the process, and costs around $1000. The design for the packaging will be $500. The rest will be used for purchasing green coffee. I believe that this will pay for itself quickly and help me pay back the loan in full. Purchasing the machine will help by decreasing the amount of time it takes to fill the ground coffee into the filter. This will help me to be more productive and continue to build my company. This machine would also allow for easier training when we need to hire additional employees. Also, this will allow me to continue to invest in my family and balance work and life.